In fact, you can only access to 3% of sake at most, and it’s tough to enjoy the artisan and limited Sake outside of Japan. There are around 1,500 breweries in Japan, and it is said that there are 15,000 labels in Japan. 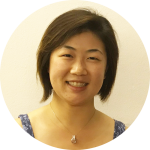 You can access to only 3% of them in Singapore at most because about half of breweries have exported Sake, but 3% of large breweries account for more than 70% of exporting volume. This fact shows how difficult you access to those delicious sake produced by small artisan breweries. We SAKEMARU only focus on those small but finest breweries who are never introduced to Singapore. Our mission is to elevate the standard of sake to that of wine by offering those artisan Sake with its story and brewer’s passion. 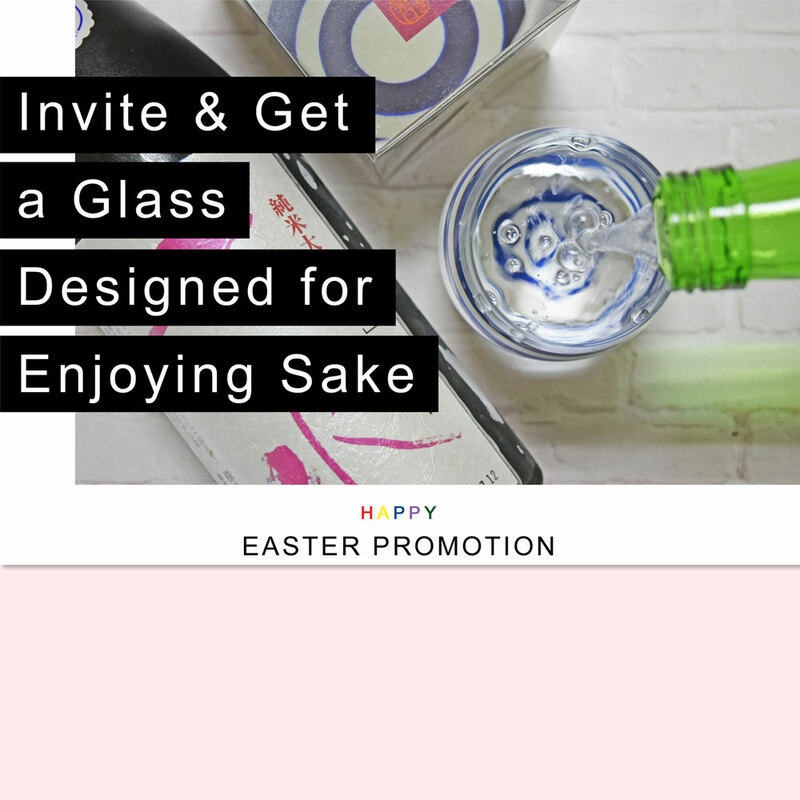 The honorary sake sommelier selects the artisan and seasonally limited sake for you and delivers to your doorstep chilled all the way to Singapore from breweries in Japan at $55(all cost inclusive). You will be surprised at the extraordinal taste! Would you like to select by yourself? but please check the benefits for subscribers at first. No worries! Why don’t you try first!? 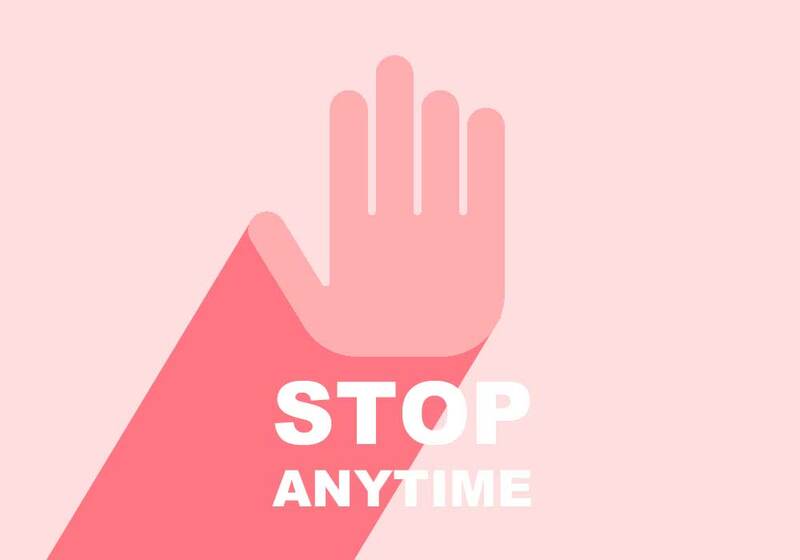 No reasons for hesitating to subscribe. 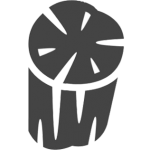 , and we have special discount only, for now, moreover, you can stop the subscription anytime if it’s not your taste. 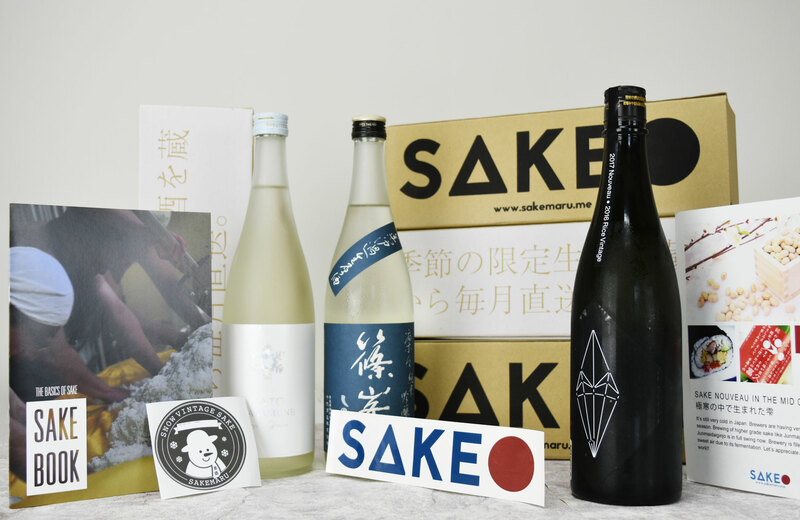 The quality of sake is controlled by the selection of honorary sake sommelier and the perfectly cold-chained delivery. 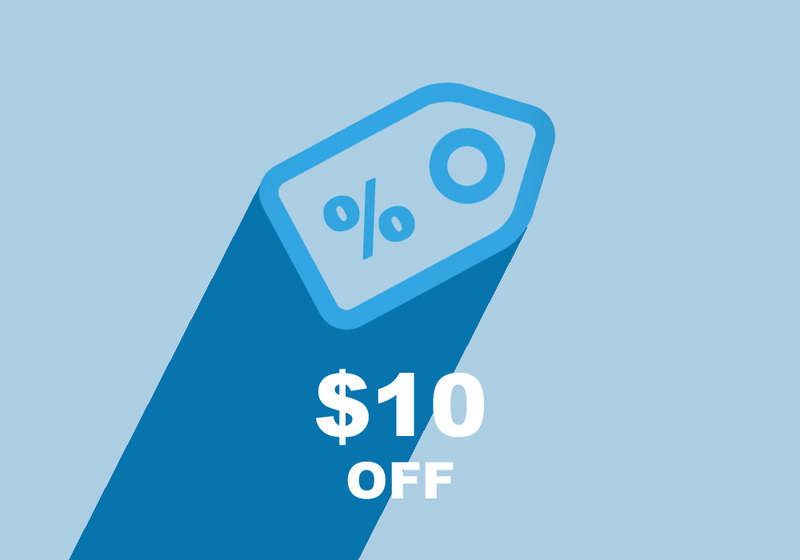 You can start the subscription at $45〜(all cost inclusive) with this discount! Please don’t miss this limited chance. 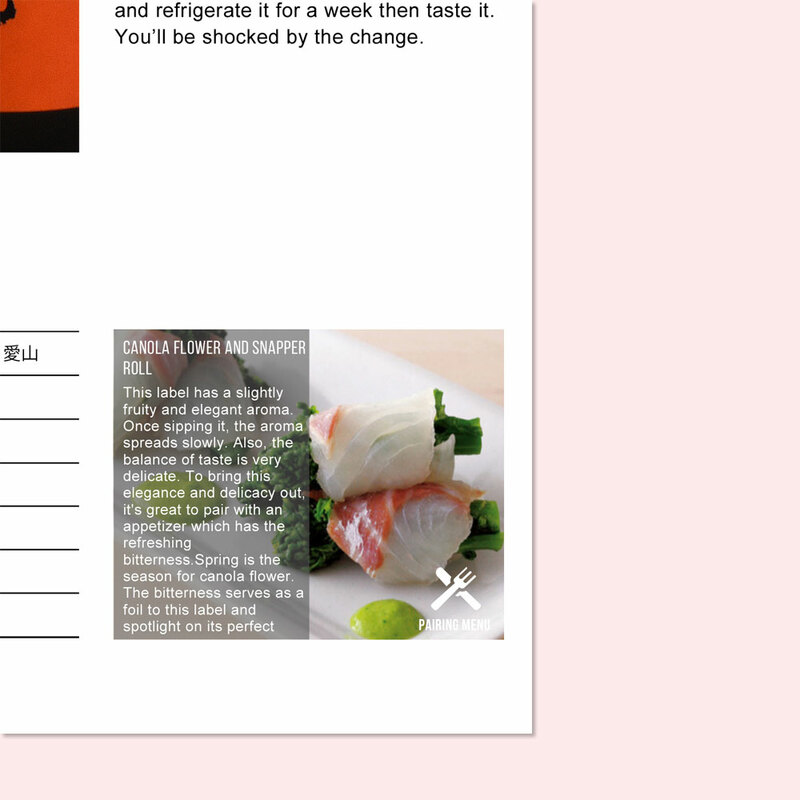 If by any chance the sake is not your taste, you can stop the subscription any time. 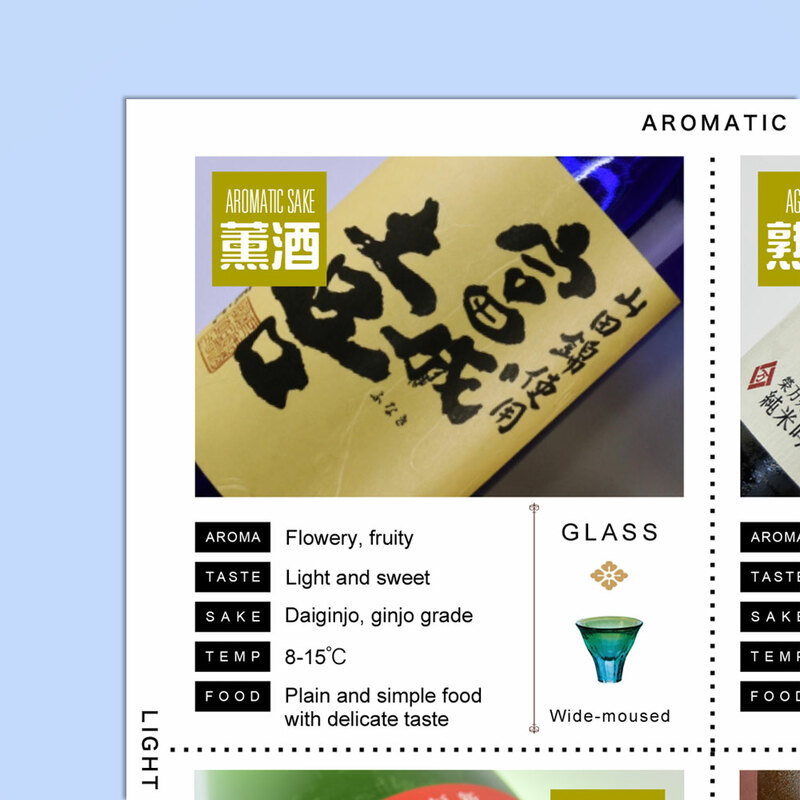 How about drinking some premium unpasteurised sake in the comfort of your home? Our head sommelier, Tadashi Okushima was appointed as 1st honorable sake sommelier. It’s very rare certification, only a few persons remarkably contributing the sake culture get certified. 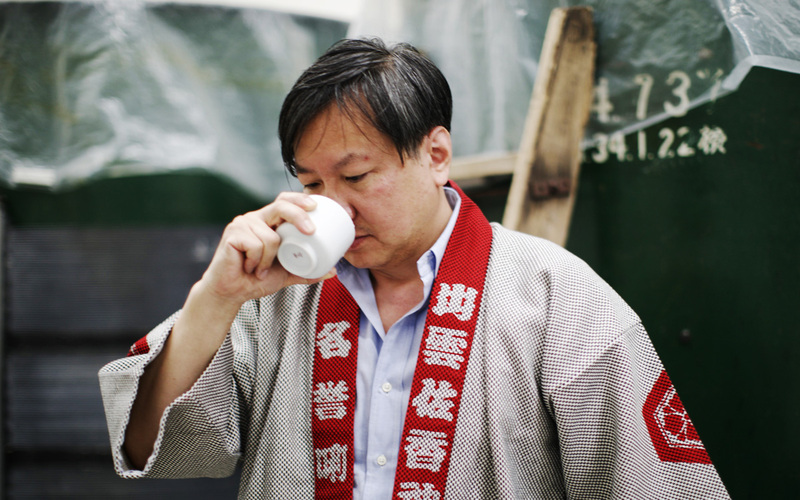 Our head sommelier travels around Japan and attends events, then taste sake and talk with brewers sincerely. 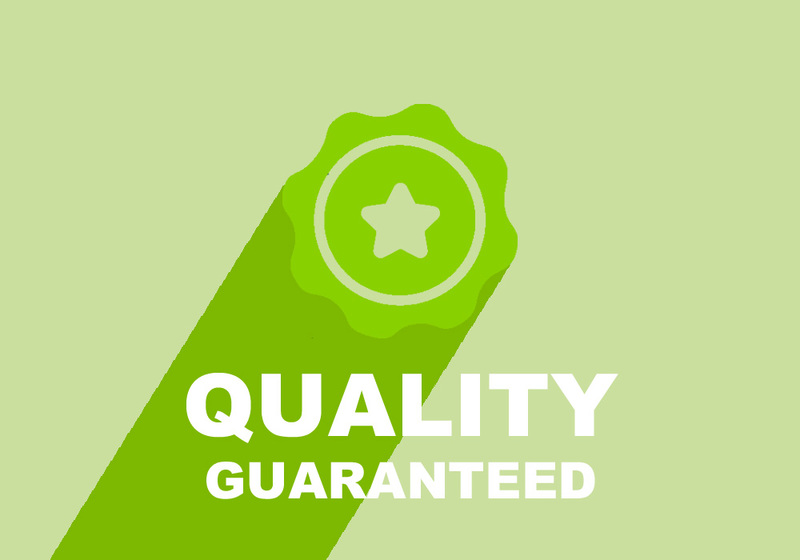 We believe good artisanal brewery has own philosophy and high commitment to brewing. 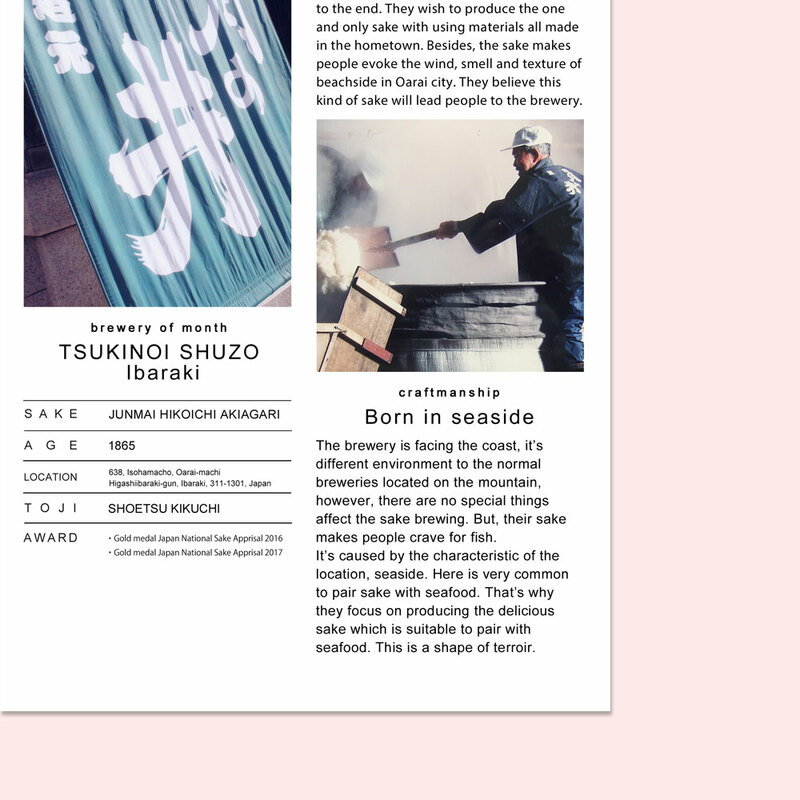 Of course, the taste is the most important thing, but we’d like our members to have the curiosity to the brewery itself and the place where the breweries brew sake through sake. 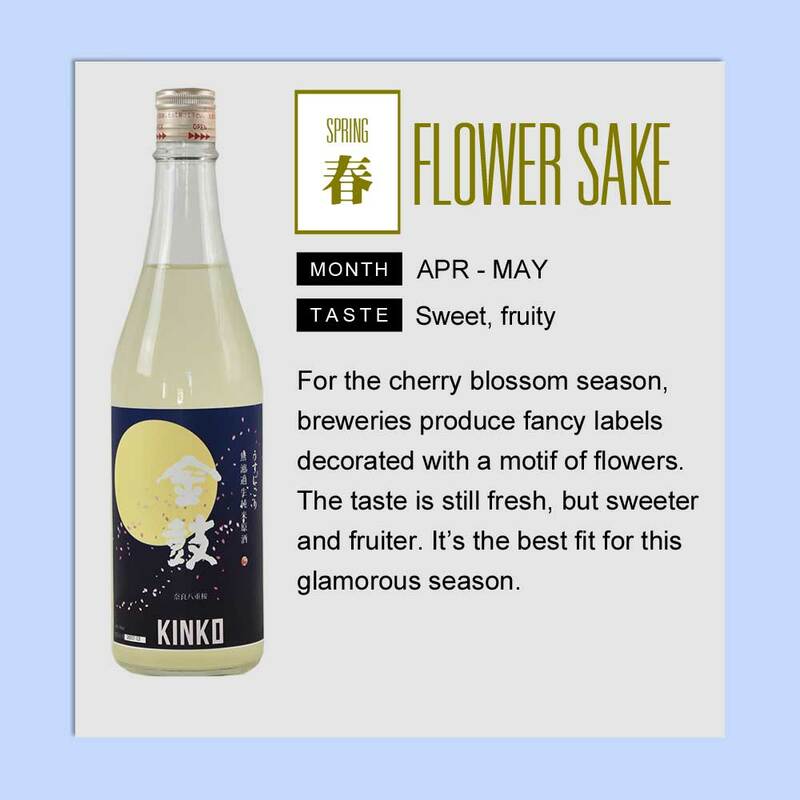 We offer the seasonally limited sake. Each brewery produces limited editions by four seasons. It’s even rare in Japan since its production quantity is insufficient. Most of the seasonally limited Sake is very different from general ones. The yeast is still alive in the bottle of our unpasteurized sake. The sudden change of temperature easily degrades the taste. 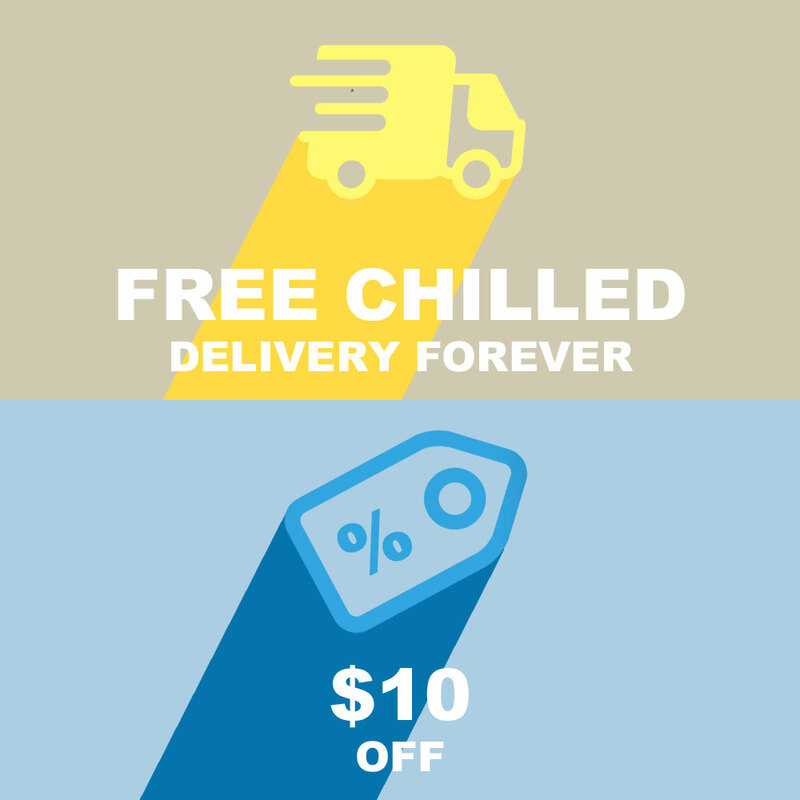 We guarantee the quality by building the perfectly cold logistics from Japan all the way to your doorstep. After the last dripping step, usually, sake will go through the following process, filtering, pasteurizing and diluting. 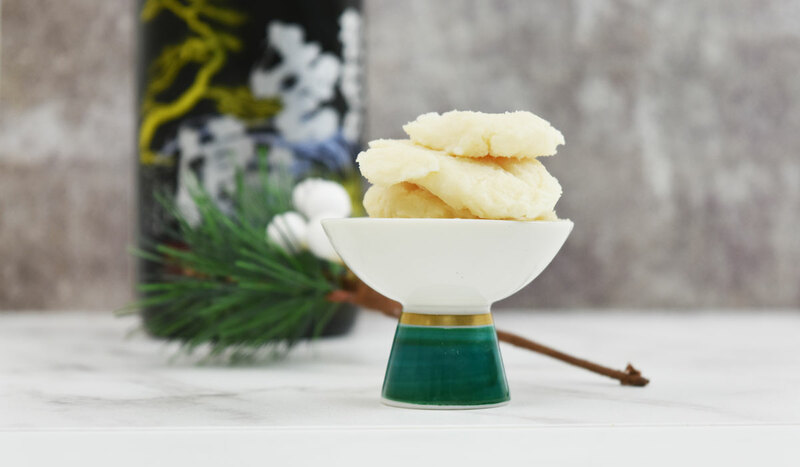 These are the vital process to prevent sake away from the taste degradation; however, this process easily kicks the distinctive feature of each Sake away. Usually, seasonally limited sake skip those process, so that we can enjoy more natural and real taste and aroma of sake. 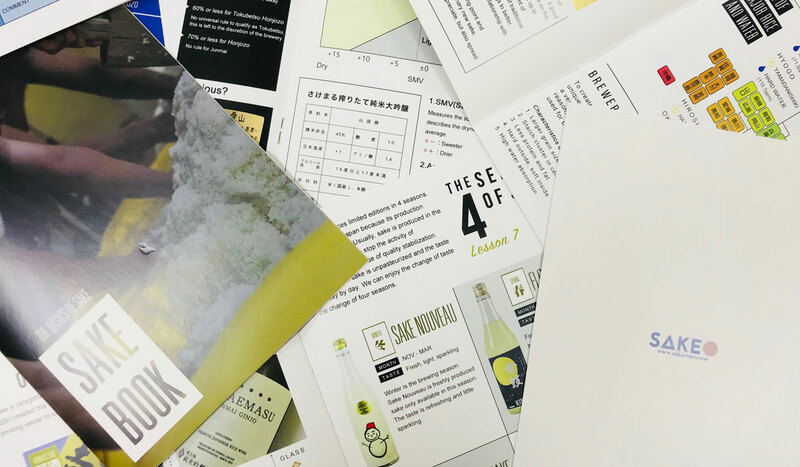 SAKEMARU provides this special sake in the tight cooperation with breweries and establishing the perfect cold-chained transportation all the way from breweries to your doorsteps. 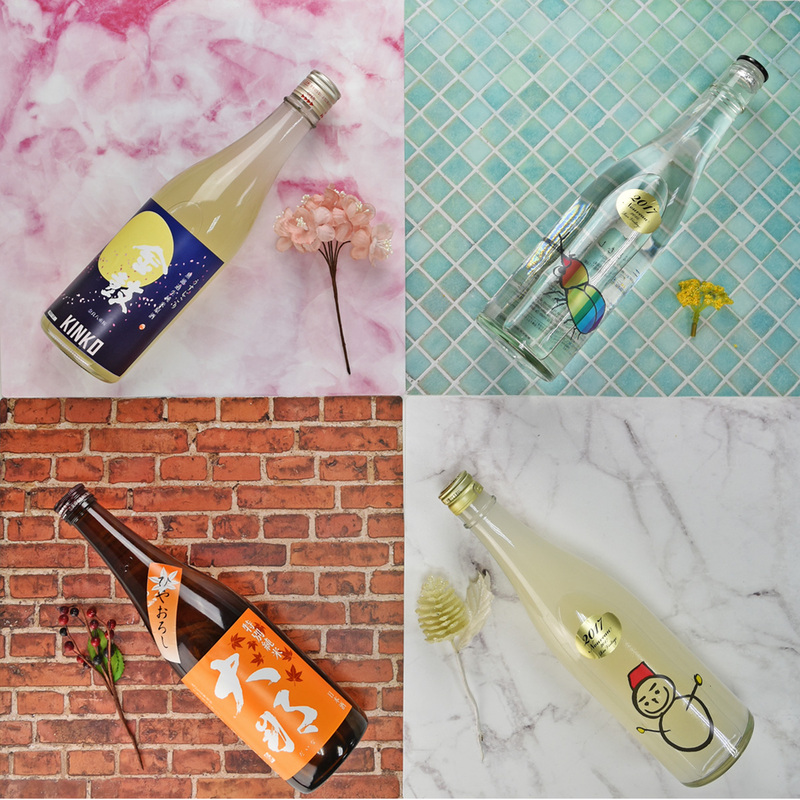 For the cherry blossom season, breweries produce fancy labels decorated with a motif of flowers. The taste is still fresh, but sweeter and fruitier. It’s the best fit for this exciting season. After the brewing season, Sake Nouveau is matured in the brewery. In Summer, a few-months-matured sake appears. The taste becomes little softer and smoother. A well-balanced, fresh Sake is suitable for the hot summer. In Autumn, the more than half-year-matured sake is released. The taste turns very rich and mellow, entirely different from the fresh Sake Nouveau. It’s the best for hot Sake. Winter is the brewing season. Sake Nouveau is freshly produced sake only available in this season. The taste is refreshing and little sparkling. There are various ways to enjoy sake and the long and in-depth story until a bottle of sake is released to the world; however, it’s quite difficult to know them with only labels. We SAKEMARU is your sommelier. 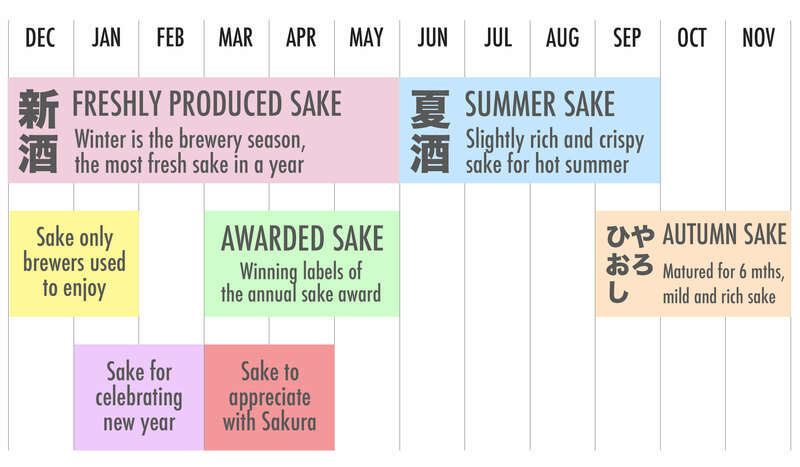 This monthly info sheet will tell the real value of sake you will receive. 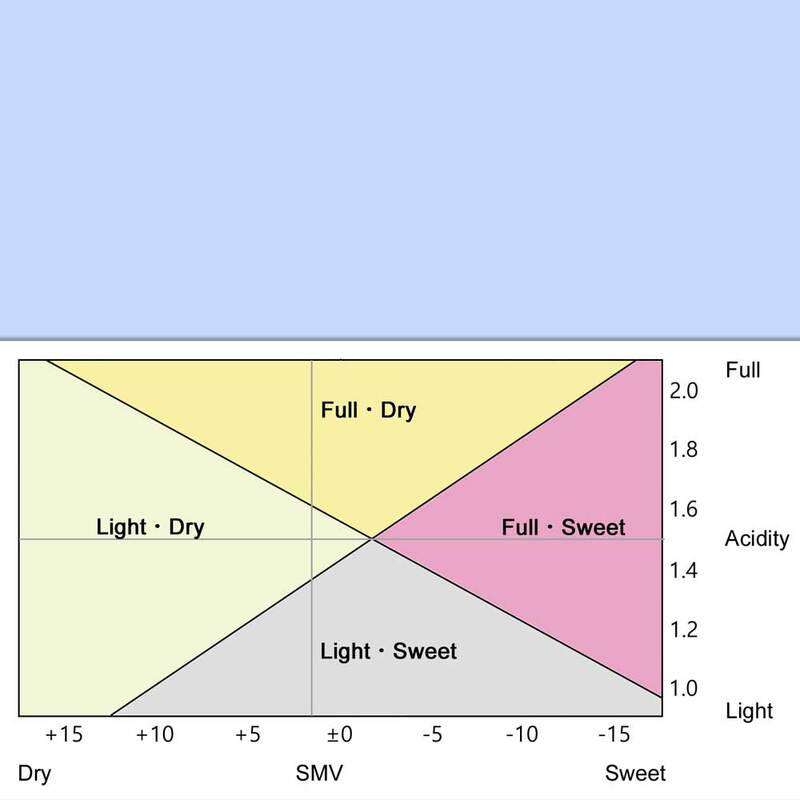 You can break down the taste and aroma and visualize what you feel with comparing to our tasting notes. 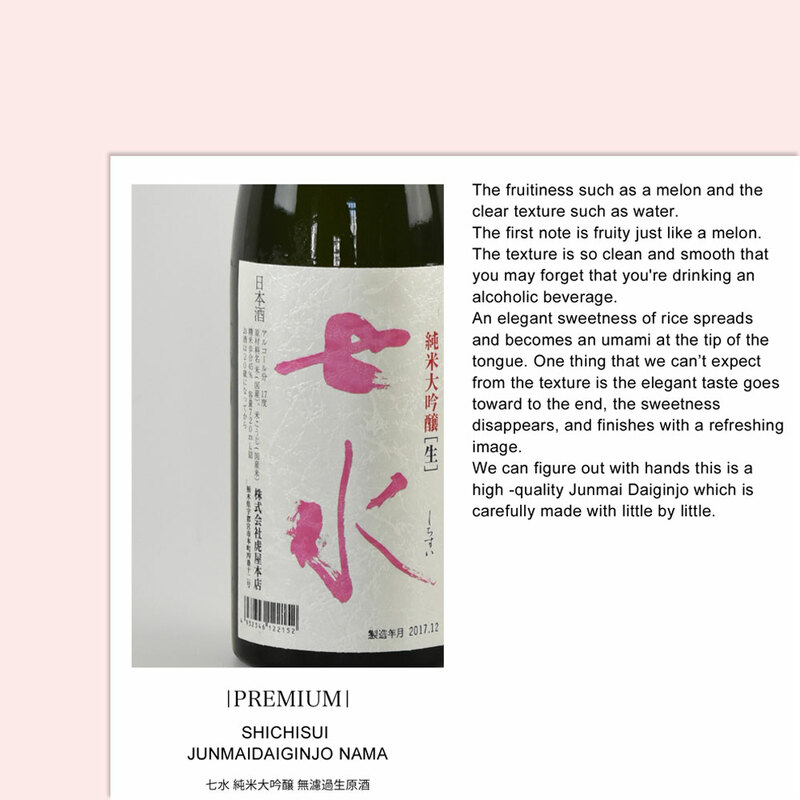 Reveal the detailed SPECs of sake which are not shown in the labels. 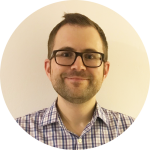 Understanding SPECs is the short-cut to find your favorite labels. Must sake pair with the Japanese cuisine? It’s a traditional way of thinking. Sake can pair with any food. We will tell you the tips of pairing. Don’t you want to know who made the sake? Just drinking is a bit boring. By knowing who brewing your Sake, the taste of Sake you feel might be changed? How is your sake produced? What’s the concept of the Sake? 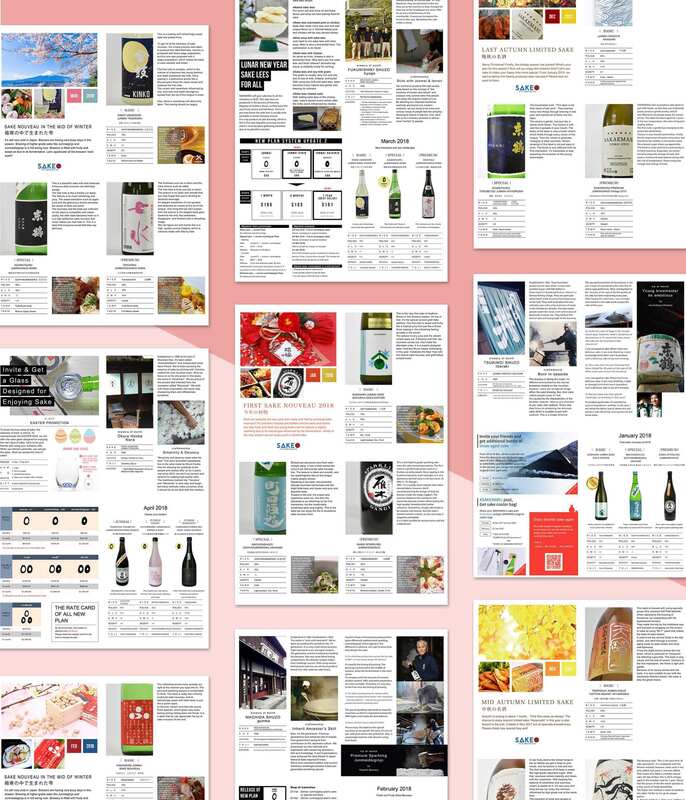 What is the specialty of the Sake from the technical point of view? Let’s get to know genuinely about your sake. SAKEMARU takes a lot of promotions and giveaway campaigns every month. Only subscribers can receive these benefits. It’s a mid-autumn festival promotion, SAKEMARU will offer a special promotion for new subscribers. It’s only available now, please don’t miss this chance and keep enjoying sake together. If you like your monthly sake, you can order it from our shop. 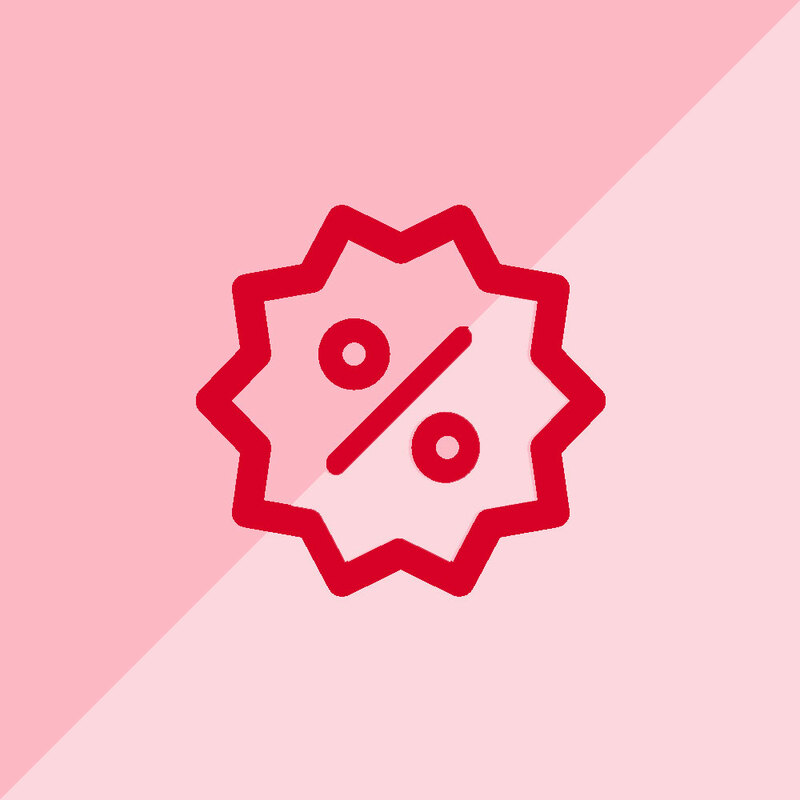 When you re-order the label, you can purchase the label at a discounted price which general members can’t have. Also, we have some unique labels not offering as monthly sake. Subscribers also can purchase those Sake at a discounted price. Only subscribers can purchase rare and premium sake at the general rate. Let’s stop paying the premium price for those very rare Sake. We have a lot of gift for subscribers. All the gift is just for enjoy sake more and more! Each gift is delivered with 1st, 7th, and 12th delivery. Besides, we have an exceptional random gift too. Collect all the gifts and make your sake life more fun! 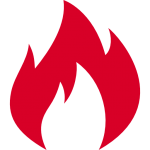 The basic guide for the sake and consists of 8 lessons. 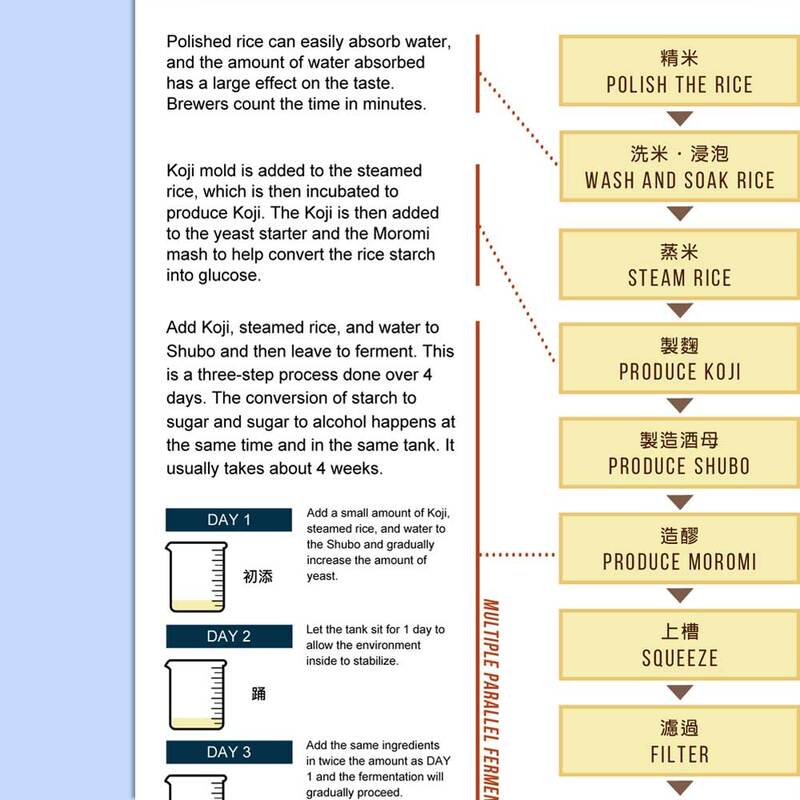 It’s simple but good enough to understand the basics of Sake. 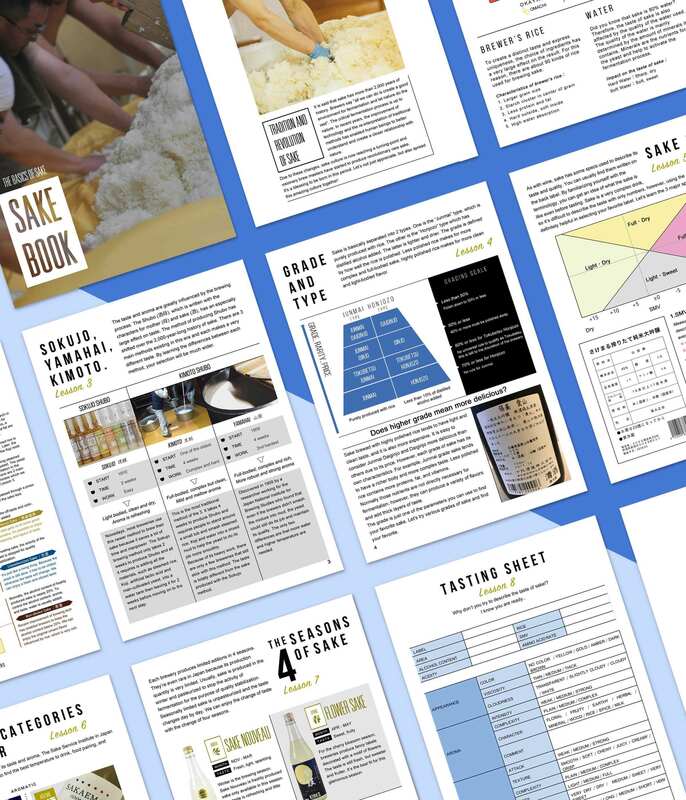 The excellent knowledge will broaden your view of Sake. 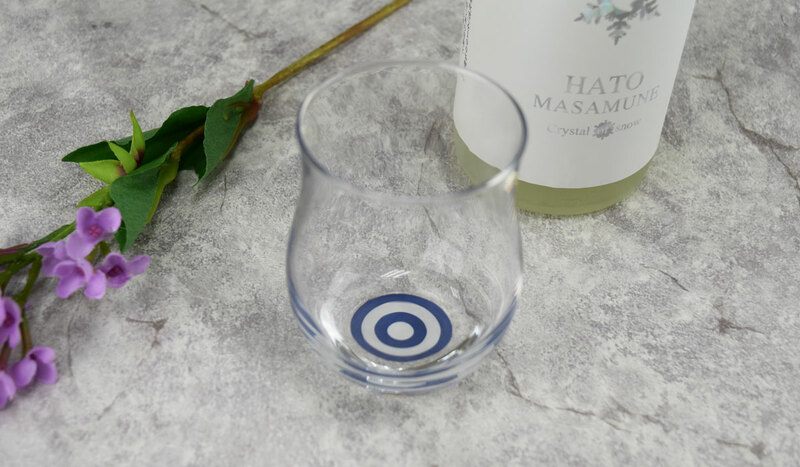 A beautiful glass perfectly designed for appreciating sake will be delivered with your 7th delivery. The lip is thin to enjoy the delicate taste of sake sharply, and it’s shaped like a barrel to hold the aroma of Sake. Please simply consider you will receive 12 + 1 bottles* in 1 year. We will deliver the sake matured in the cabin designed with natural snow for 1 year with your 12th delivery. We periodically give the unique items related to sake like brewer’s rice, sake lees which is the off-product of brewing and brewer’s apron and so forth to subscribers. Sake is basically produced with only rice and water. The selection of ingredients is one of the most important factors to brew good sake. Sake is produced with a method called “multiple parallel fermentation”. Sake is the only alcohol that uses this complex process. 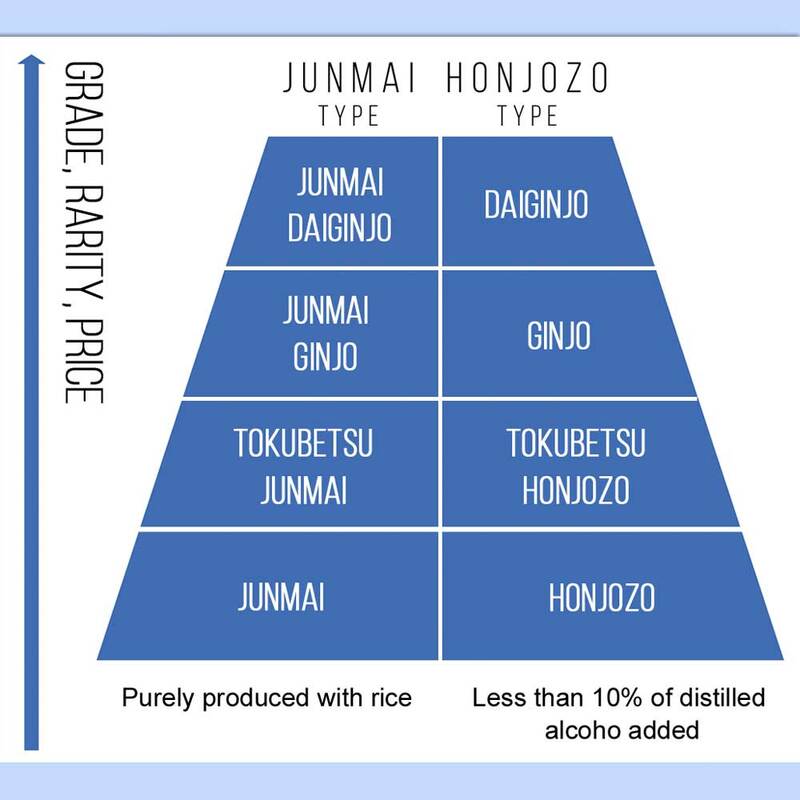 Sake is basically separated into 2 types and 4 grades. These items give an large impact o n the taste of sake. As with wine, sake has some specs used to describe its taste. 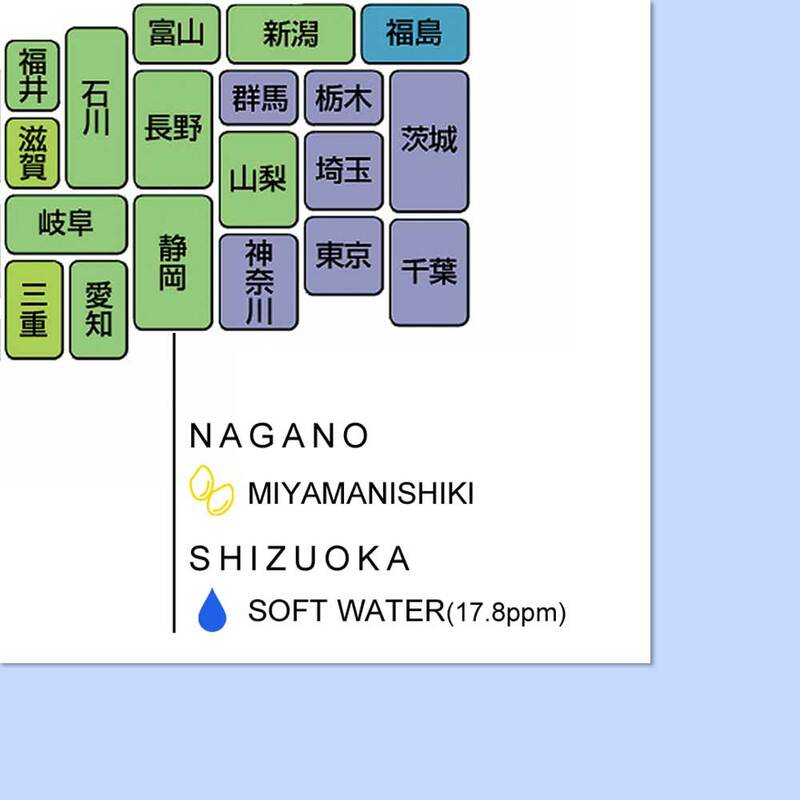 By familiarizing yourself with the terminology, you can get an idea of what the sake is like. Each brewery produces limited editions in 4 seasons. They’re even rare in Japan because its production quantity is very limited. Sake is categorized into 4 types based on its taste and aroma. It will help you to find the best temperature to drink, food pairing, and so forth. Please simply consider you will receive 12 + 1 bottles* in 1 year. 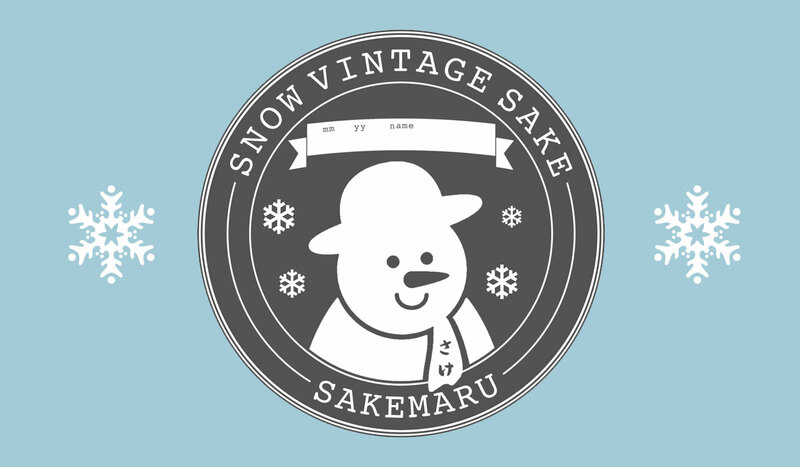 When you subscribe SAKEMARU, we store and mature the sake in the sake cellar produced with the natural snow. 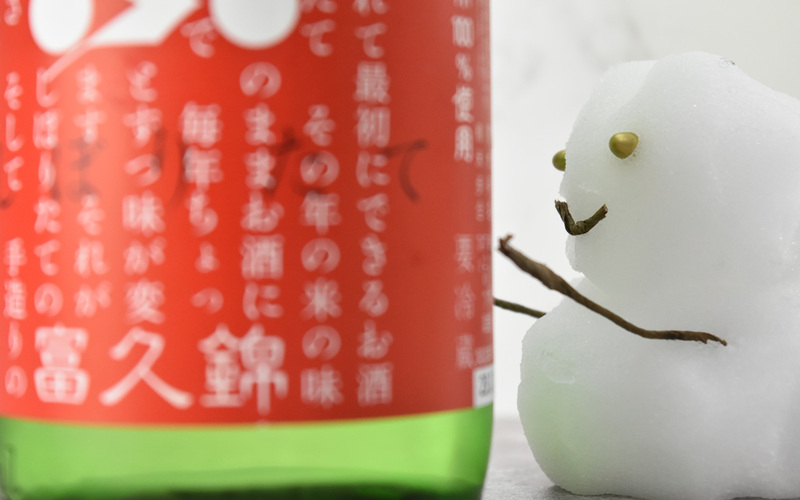 After 1 year, you can take the snow-aging sake anytime you’d like to. If you’d like to mature more than 1 year, you can mature as long as you’d like. Snow dorm is the natural cold room made with ancestors' wisdom. Japanese people started to build snow dorms to store meats, vegetables, and ice in ancient times. The snow piled up like mountain-high never melt up throughout a year even in a hot summer. Also, it has been scientifically proven as the method to make the taste of sake better. Ancestors are always great!! 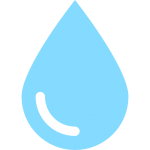 The humidity inside the snow dorm is normally over 70% due to the moisture comes from snow and the temperature is kept blew 0 to 5 degrees throughout the year. This environment is prefect to keep foods and drinks fresh. On the other hand, the environment of the refrigerator is very unsettled due to frequently open and shut and cooling system. Snow dorm is only cooled by natural snow so that there are neither vibration nor light. The dark and stable environment is necessary to preserve foods and drinks including sake. Contrary to snow dorm, refrigerators keep vibrating due to electricity and are frequently exposed to lights due to open and shut. Snow dorm actually gives the positive effect to foods and drinks. The taste of sake tends to be richer and milder. The mechanism is scientifically figured out gradually, for example, it reduces the aldehyde which gives the negative effect on the aroma. Years maturity in snow dorm, aged sake is gradually changing the color to amber, taste to be much richer and milder. You will lose the right to receive the snow-aging sake if you cancel before 12 months pass. 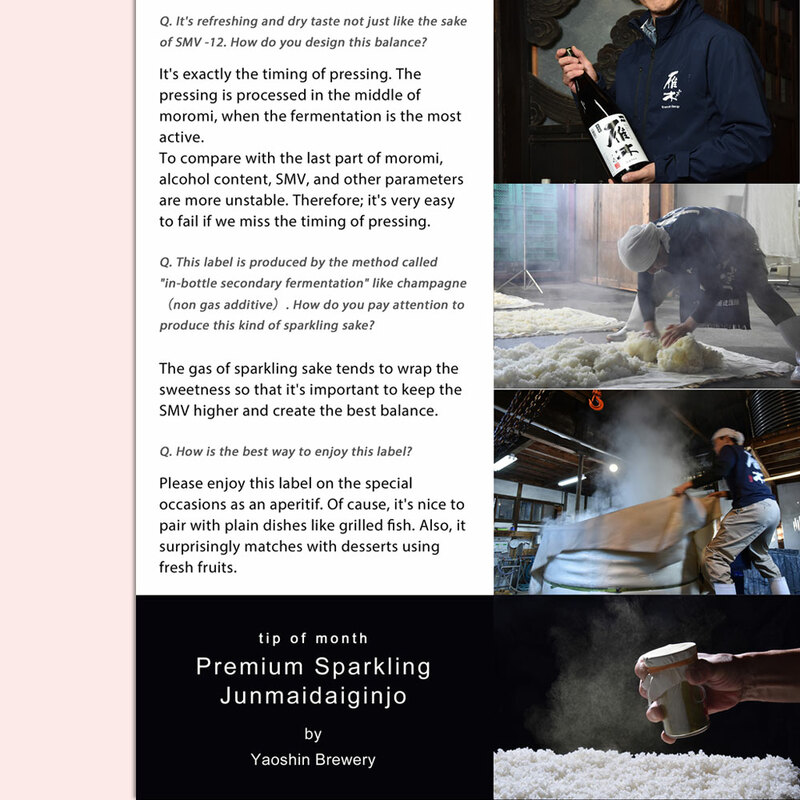 You can manually request to take your snow-aging sake out on our website. SAKEMARU gives me the opportunity to try new sake that I couldn’t otherwise try and teaches me about a lot about sake. Especially, I figured out the taste of sake is dramatically changing throughout the year. When I was in the U.S, I met sake. My knowledge of sake has been much more wealthy and I got closer to sake more than ever. I’m subscribing 2 bottles plan. At the first month, I was very surprised that taste of 2 labels is totally different. It’s also great to know why they have such a different taste in website and info sheet. It’s very informative. And, now I gradually understand my taste. Thank you very much for reading this page until here. 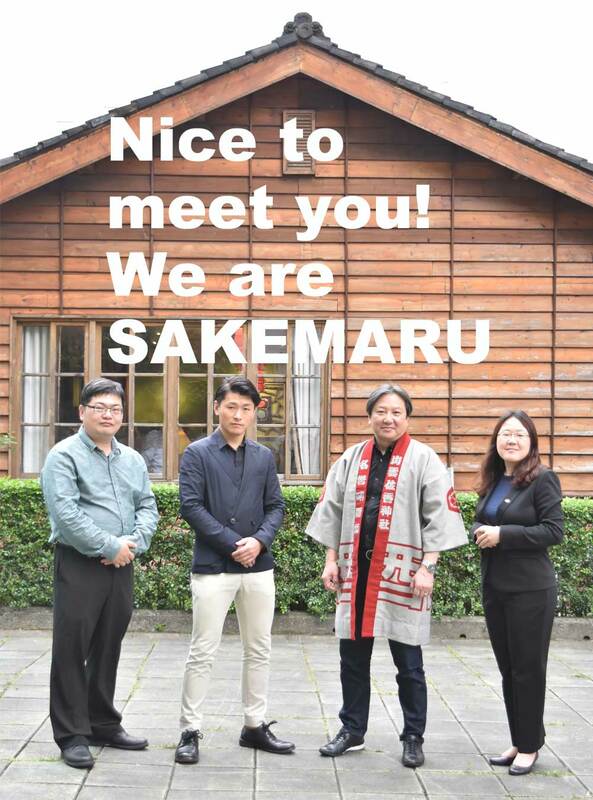 SAKEMARU consists of 4 sake sommeliers. Being led by the honorary sake sommelier, Tadashi Okushima, we are trying to find undiscovered artisanal breweries every day. Through the tasting and discussion among four professionals, your Sake is selected. 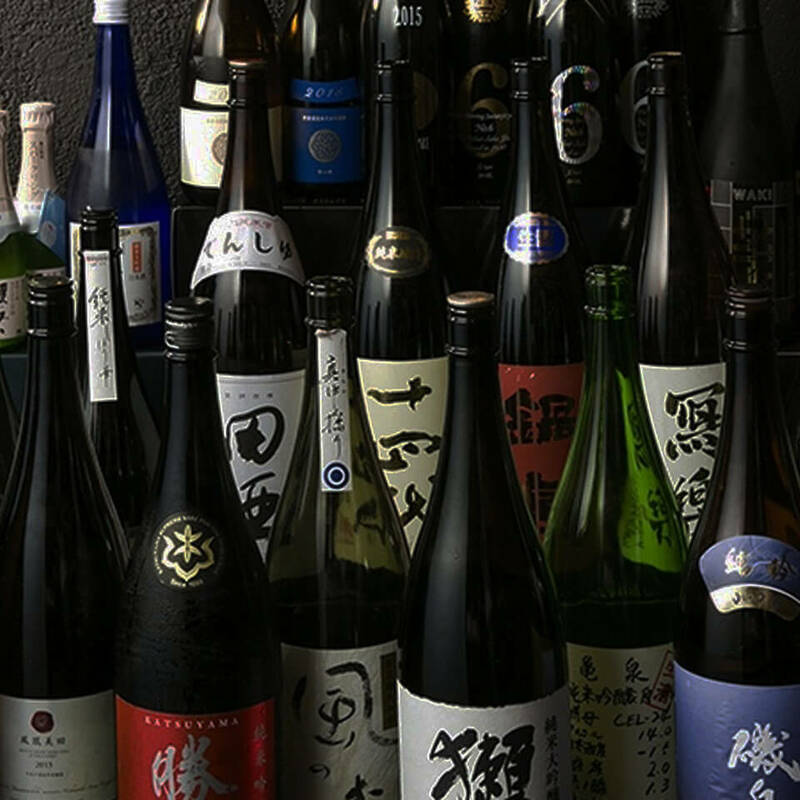 Our mission is to elevate the standard of sake to that of wine or more. To make this happen, we believe it’s not good enough to deliver delicious sake. We need to tell more about the brewery itself and behind-the-scene of brewing to increase the fun of Sake and its culture. 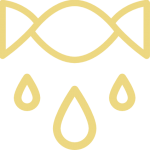 The value we can offer is not only delicious sake at the reasonable price, but you will also be familiar with the Sake culture. Let’s join SAKEMARU and enjoy its deep world together!! If you have any tiny questions, please feel free to reach us from following methods. We are very happy to help you! We will try to reply in 24 hours to your questions. Please send your inquiries from this form. Casually send us messages via SNS. We will also reply to the post with #sakemaru. Common FAQ is all out together in FAQ. Instantly solve your question here.